For those of you who follow my blog, I apologize that I’ve not been posting recently. Many of you know that for the past four months, I’ve been a full-time caregiver for my mother-in-law. On July 3rd, she passed away. 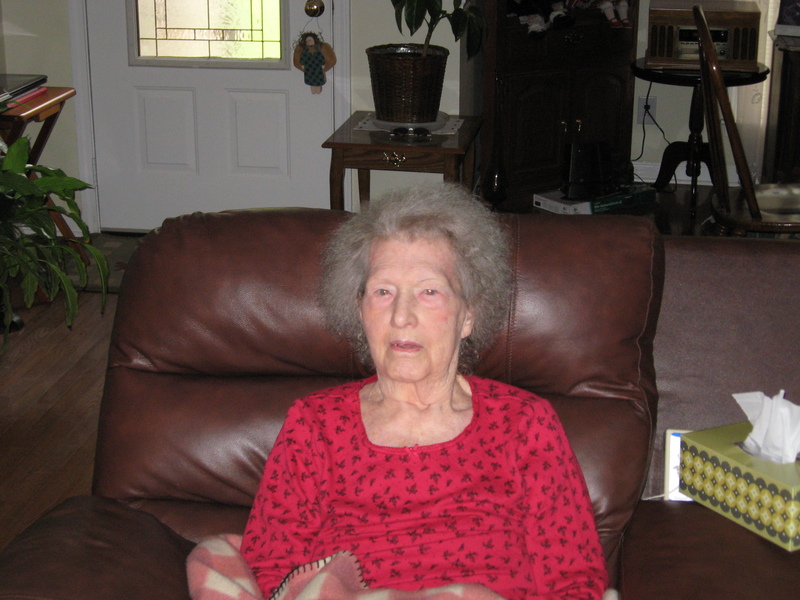 For several years she had battled Alzheimer’s disease, and the last month of her life was very difficult. I know there are many of you who have dealt with family members with this disease, so I’m sure you can understand how hard it was. I’m happy to say that the decision we made to bring her home from the nursing home was a good one. The first three months, she made remarkable improvements. She gained weight, (liked my cooking! ), and even though we were told by the nursing home that she would never walk again, we got her walking with the assistance of a walker. We saw her smile, and laugh. Something we hadn’t seen in a very long time. It wasn’t always easy. There were nights that she was unable to sleep, and there were times she would try to get up and walk on her own, forgetting that she didn’t have the full use of her legs. So, we had to watch her constantly. But still…as hard as it was…I would do it all over again in a heartbeat. In her final week, she was no longer able to eat, drink, move, or speak. It was heart-breaking seeing her that way. Hospice helped us through the final week of her life, and I’m grateful for their love and gentleness with her. I believe in my heart that she is now in a much better place, and no longer suffering with confusion and inabilities. Strangely enough, I finished writing my newest book, “Forgotten,” the day before she died. I know that whenever I re-read it, I will be reminded of where I was, who I was with, and what I was doing while writing it. A part of her will always be in the pages. Thank you for your kind remarks. She was a special lady, and I miss her already. I hope I can capture some of her unique humor in my stories.